Like most who live in Maryland, Parkton residents are surrounded by history and a rich sense of culture that imbues everything within their lives. Located in northern Baltimore County and home to roughly 6600 people, many who live here are homeowners. And for those who own their home, one thing worth paying attention to is getting the basement waterproofing Parkton homes and residents need. So what is waterproofing and what does it do? The answer is just what it sounds like – the process of taking several different steps to ensure that water from outside the home doesn’t find its way into the home. Most people think of their roof as the primary shield against interior moisture, but basements have to be able to stand up to a tremendous amount of moisture throughout the life of a home. From rain to melting snow to thawing ice, your basement walls will be faced with a lot of the worst that nature can throw at a home. In order to protect against this, getting the right basement waterproofing Parkton homes require is vital. Most fully know that when moisture finds its way into a home that it can create pools of water and other immediate issues. 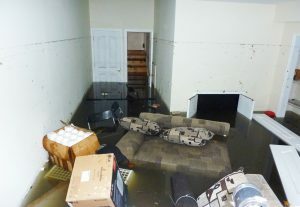 But the real dangers of a leaky basement come from the long-term consequences, not the short term ones. Consider some of the big reasons to get the kind of basement waterproofing Parkton homeowners need, and you’ll see why it’s something you can’t ignore. • Waterproofing helps you avoid more expensive repairs in the future, saving you money in the long run. • Our services help protect your family and keep you safe from mold and the health risks it brings with it. • You avoid the risk of damaged structural framing due to rot and other similar moisture-related issues. • Your home value remains high, and could even increase as a result of the quality basement waterproofing Parkton pros like our team provide. In short, you get a much longer-term level of protection than you would if you ignored the issue. And that in turn means peace of mind for you and your family. • Grading and Drainage – Homes that have property that is graded incorrectly could actually be funneling water towards the home. By considering this and by installing drainage solutions as well, we can help you keep excessive water away from the home. • Waterproofing – Our team understands everything related to waterproofing foundations. From exterior sprays to interior sump pumps and beyond, we can ensure that your basement stays completely dry. • Mold Remediation – If mold growth has begun, it is important to correct the issue as soon as you can. Our team can kill and remove mold and then take the steps to prevent it from returning. • Encapsulation – Using membrane barriers to encapsulate your basement interior is another key step that can provide a moisture and vapor barrier and eliminate those damp, mildewed basements. Some of these may need to be combined with others in order to create the solution for basement waterproofing Parkton homes might need. In other situations, a single solution may be all it takes. The key is knowing all of the options and identifying which ones will work best for you. Obviously, there’s no way to really know what is needed until we take a look. That’s why before we start basement waterproofing Parkton homes, we always provide a free estimate to our clients. This way we know what we’ll have to do, and you know what to expect in terms of turnaround time, cost, and project complexity. There are plenty of DIY projects out there for homeowners, but waterproofing a basement really isn’t one of them. You need professionals who can examine your current situation, identify leak sources, and then determine what steps are needed to correct the issue. Our team is ready to help, and we offer no-risk, completely free inspections and estimates for any basement in the Parkton area. Contact us now to get started on the path to the dry basement your home deserves.